I travel to Taiping every once a year or once every 2 years. Taiping is where my ancestors lived. Peaceful & quiet place, live up with the name itself "Taiping" (means Peace & Harmony). Love the place very much! 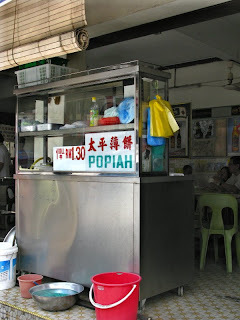 I would like to introduce a few local food at Taiping, noodles which is in business for at least 60 years passed down from mother to daughter, and the daughter is now already 70+ years old. Woots! Opens in the morning until 12pm only. 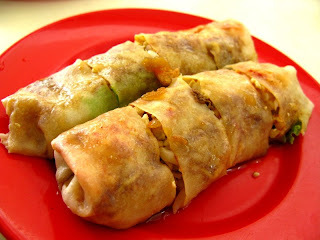 Taiping Popiah have been famous in Malaysia, one of the best one I had was at Taiping! I was told it was very better when it is made before the precious owner, his father. It was sold for at least 40 years. What a strange name for a restaurant. 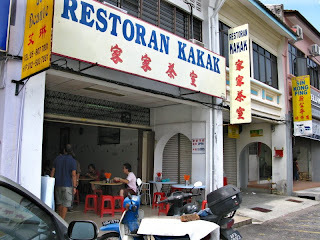 "KAKAK". Hmm, if i'm not mistaken, "The Girl I used to love" is from Taiping. LoL! 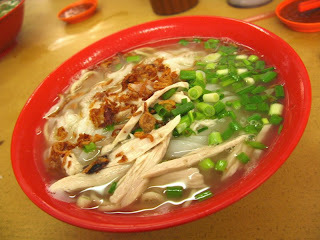 J'son : ekekeke.... can wan~ must have motivation in eating and keeping fit!! Tim : Those days it's not necessary to have the signage in malay. 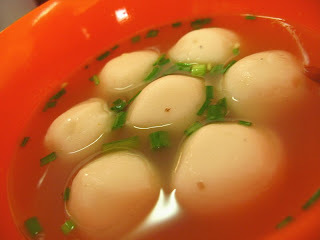 It was all along in chinese tho..
Nice... More taiping food here lah. It will take you few days just nice to finish off the food and visiting.